Such has been Honda’s improvement over the winter that Toto Wolff says Mercedes need to be prepared for a “big fight” with Red Bull Racing. 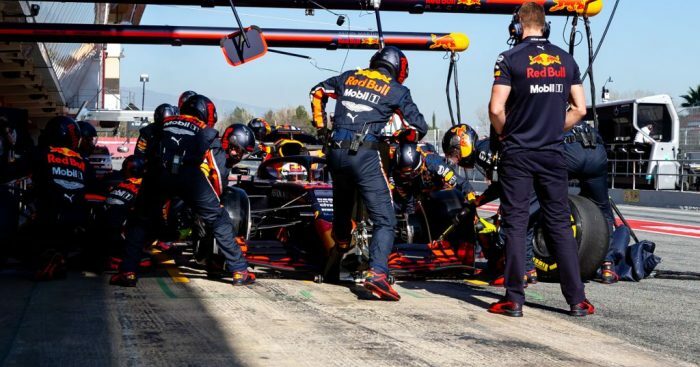 While his team-mate Pierre Gasly’s qualifying for the Australian Grand Prix was undone by a bad strategy call, Max Verstappen qualified his RB15 in fourth place in Melbourne. The Dutchman’s best time put him 0.8s off the pace set by pole sitter Lewis Hamilton and was only a tenth shy of Ferrari’s Sebastian Vettel. Wolff says it is a clear sign that Honda have made a “huge step forward”. The Mercedes motorsport boss told Autosport: “I felt that Honda has certainly made a huge step forward. “If you look at the speed trace, it looks a very different Red Bull than before. They’re very fast on the straights and that’s good to see. “We want them in the mix and we want to have a big fight. “Max was driving the car in a spectacular way again and really squeezed every tenth out of the car. “If they are in the mix with Ferrari, and maybe some others, it’s just what the sport needs. Red Bull team boss Christian Horner was happy with his team’s performance on Saturday. “The surprising thing for everybody is how quick Mercedes are, even to themselves,” he said. “I think they’re a little shocked.